Its hard to choose which color combination is nicer, they all look great! 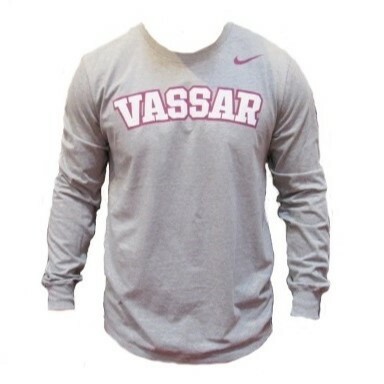 The attention to detail on the reflective Vassar Logo is top notch. 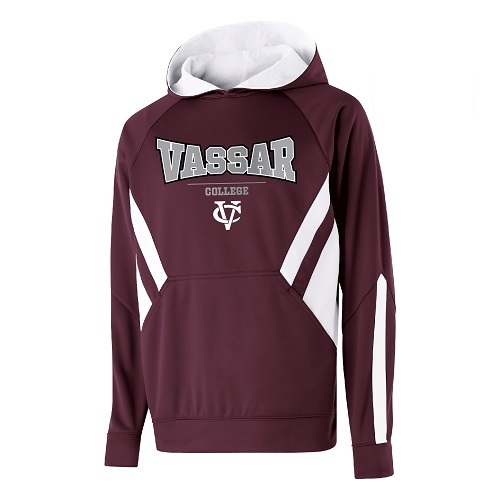 The 100% polyester fabric makes this the perfect work out or layering piece. 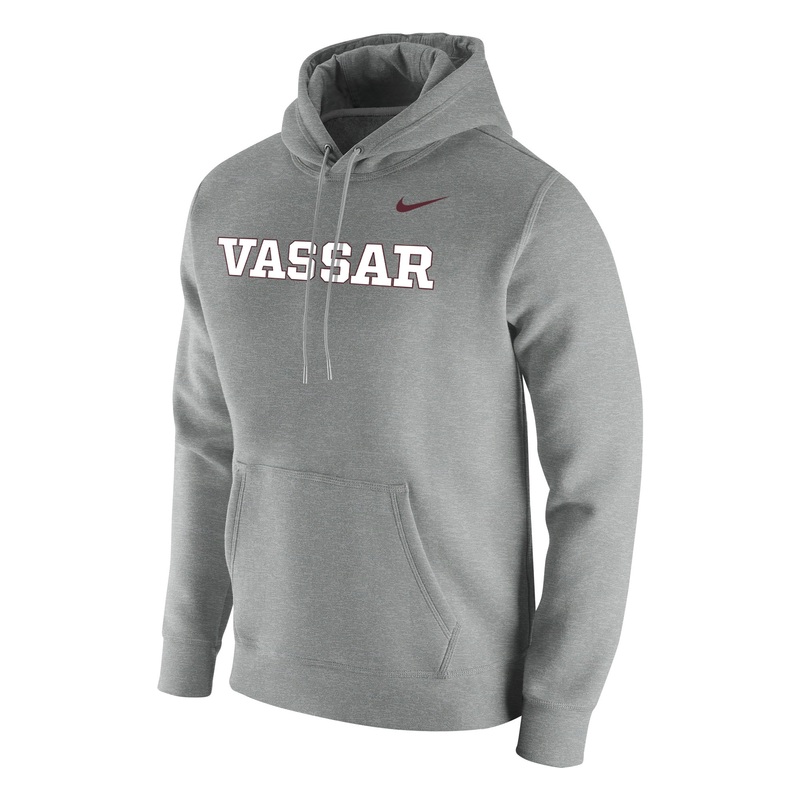 Soft fleece on the inside and a smooth outer shell. This one gets lots of attention here in the store. Please select option for CI SPORT FLASH POLY HOODIE. featuring DRI-FIT Technology, this Nike Training 1/4 zip is designed withe the interlocking VC and Maroon lettering with white outline. 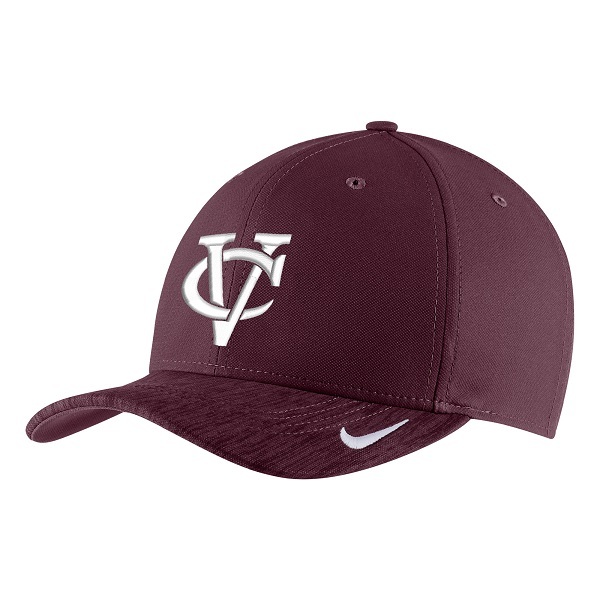 The 100% polyester fabric will keep you looking good on campus and as you venture into Arlington. Available in two colors. 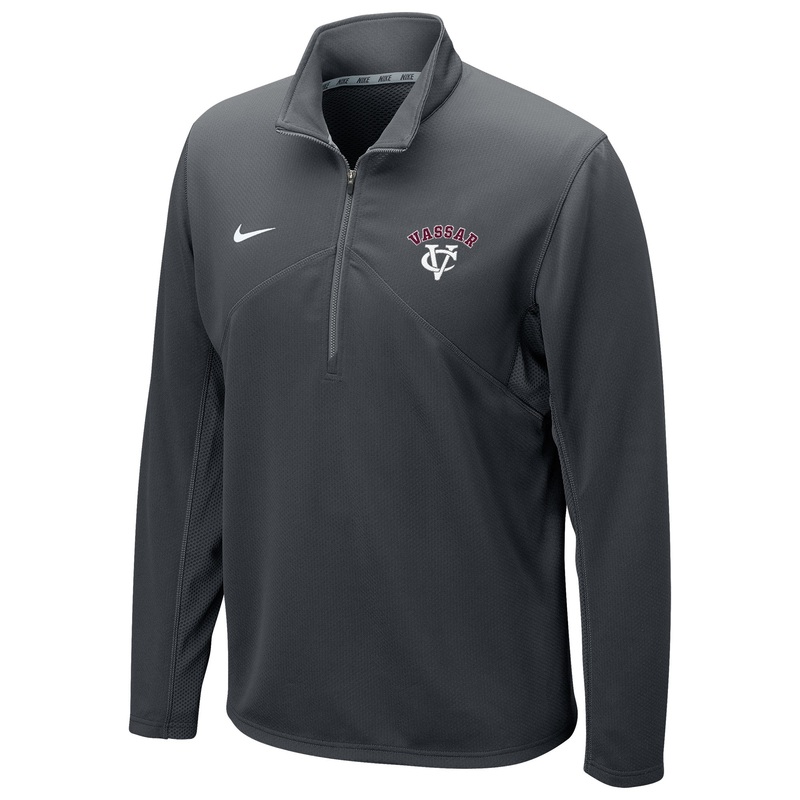 Please select option for NIKE DRI-FIT 1/4 ZIP. 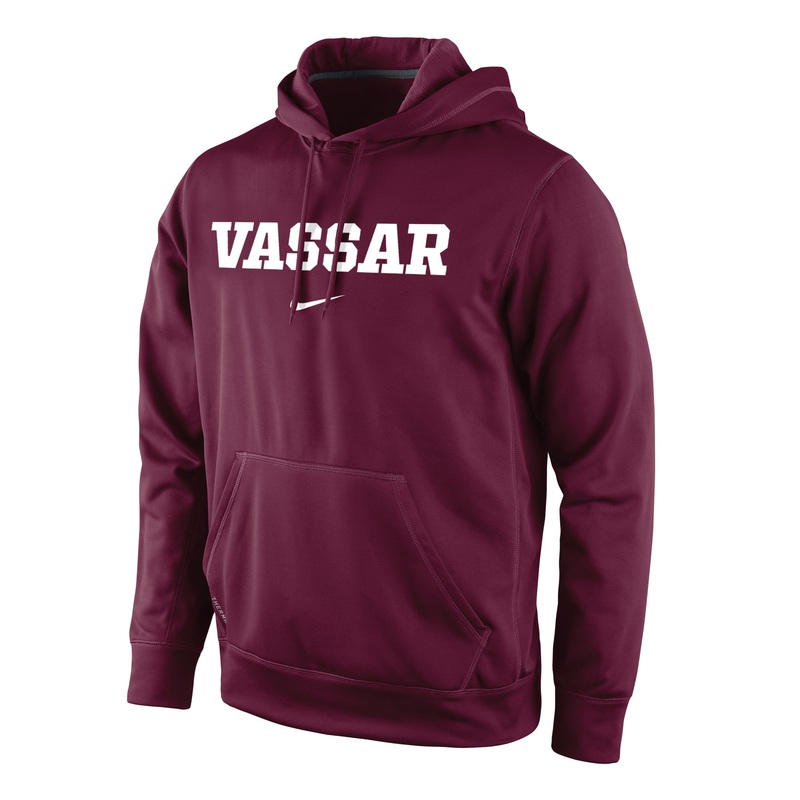 Nike Dri-Fit 1/4 zip in Maroon with a two color Vassar logo is fabricated of 100% polyester. 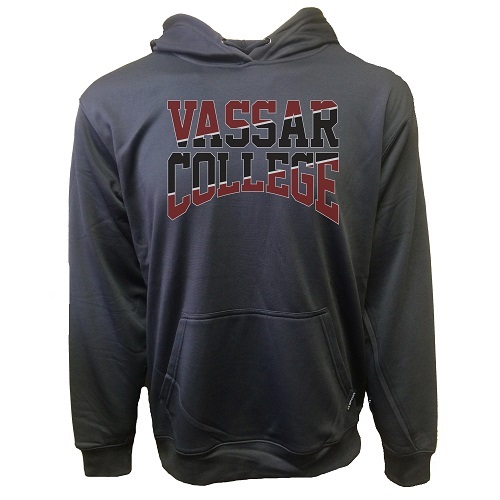 New at Vassar, the Side line collection. 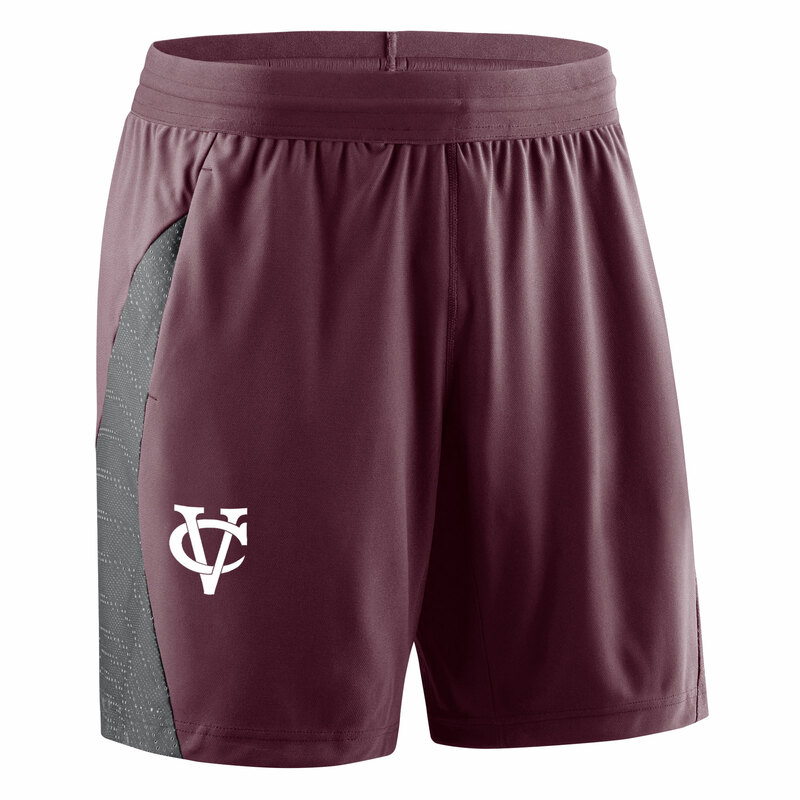 We have the merchandise that you will see on the sports field this fall. 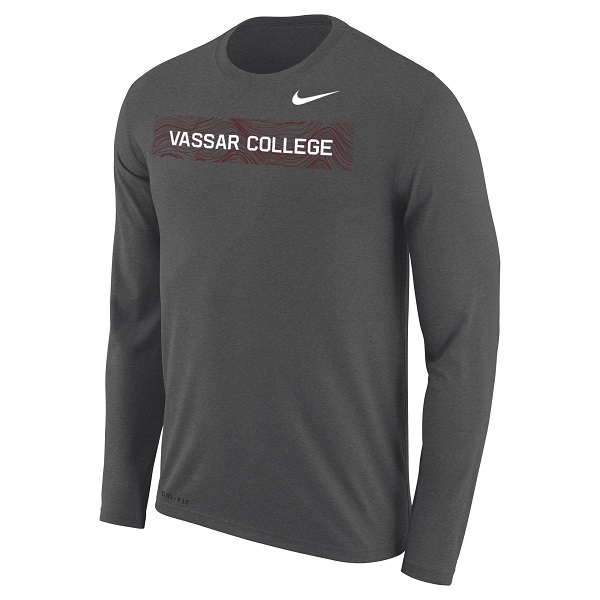 This NIKE Legend Long Sleeve Tee in 100% polyester features DRI-FIT technology and features a unique Vassar logo specific to the collection. 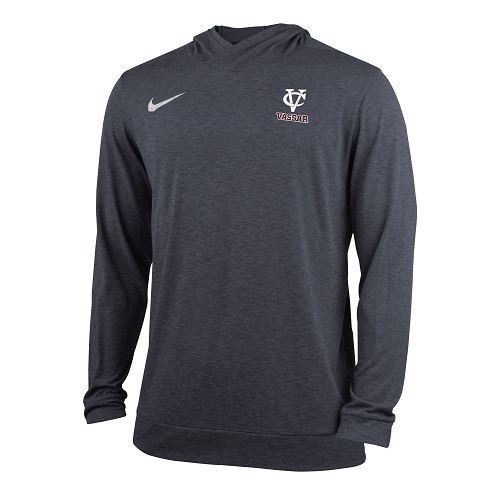 Please select option for NIKE LEGEND LONG SLEEVE. 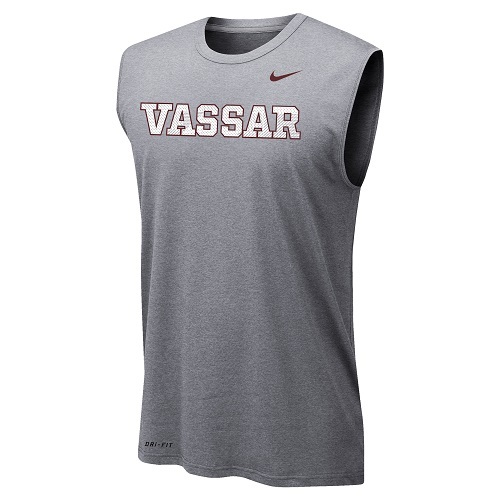 An update on the classic Vassar logo, this sleeveless Tee features DRI-FIT technology to keep you dry. 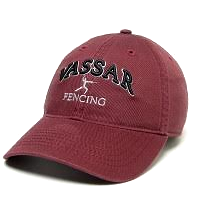 The 100% polyester fabric is soft and maintains its shape. Please select option for NIKE LEGEND MENS SLEEVELESS TEE. 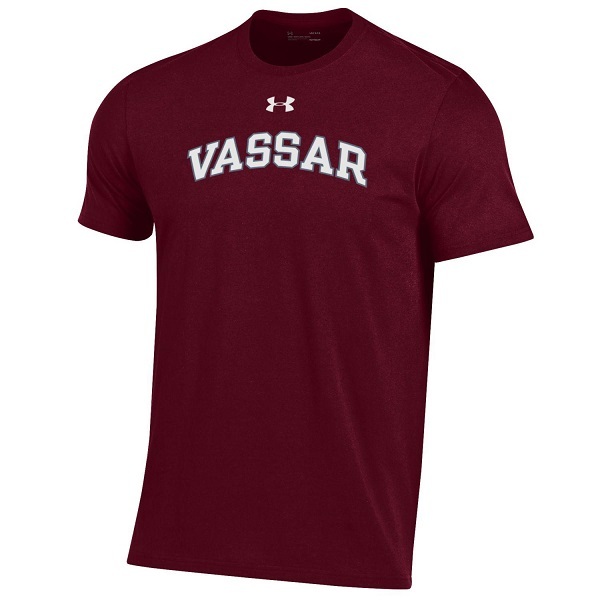 Simply Stated, the Maroon interlocking VC looks great on this atheltic fit Mens Tee. 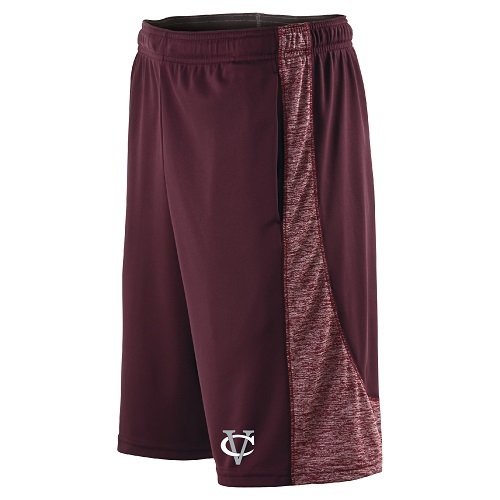 Featuring DRI-FIT technology , the 100% Poly fabrication wicks moisture away. 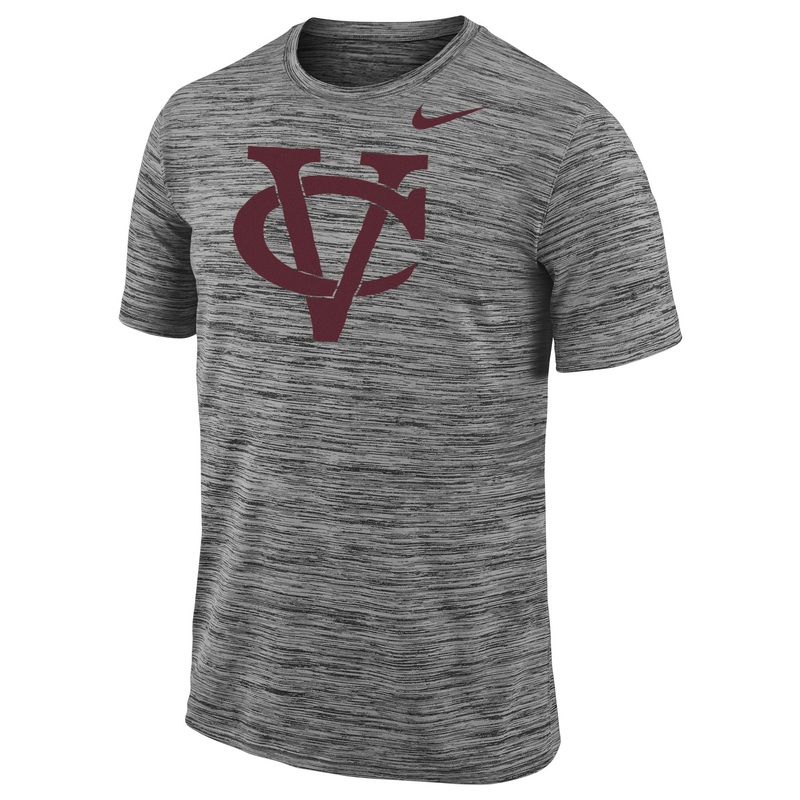 Please select option for NIKE LEGEND VELOCITY MENS TEE. 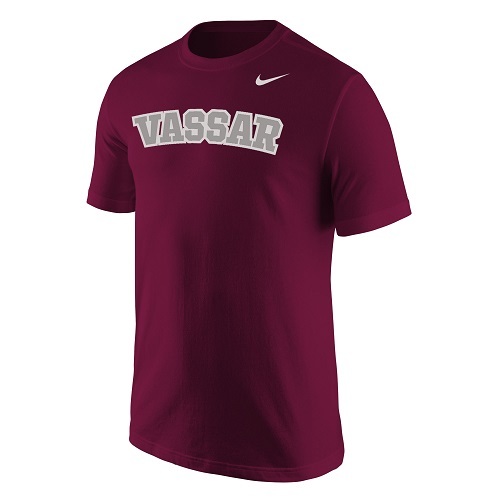 The NIKE Men's Hooded Dri-Fit Top features an interlocking VC complimented by the Vassar logo in Maroon with white outline. The fabric looks like a heather gray and black. 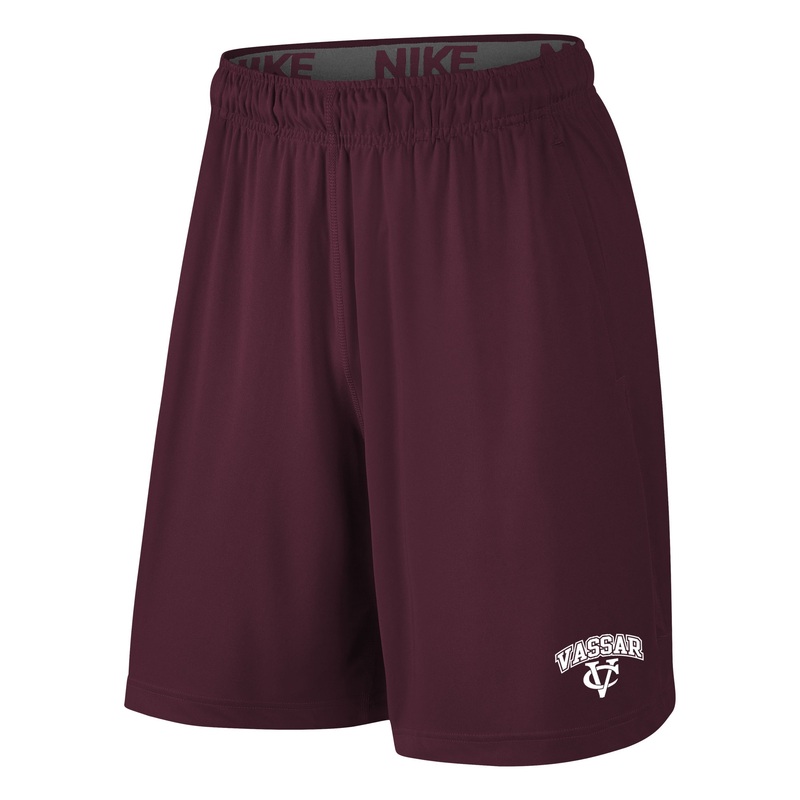 It features Nike DRI-FIT technology with Breathe fabrics. They move sweat from your skin and are breathable. 100% polyester content. 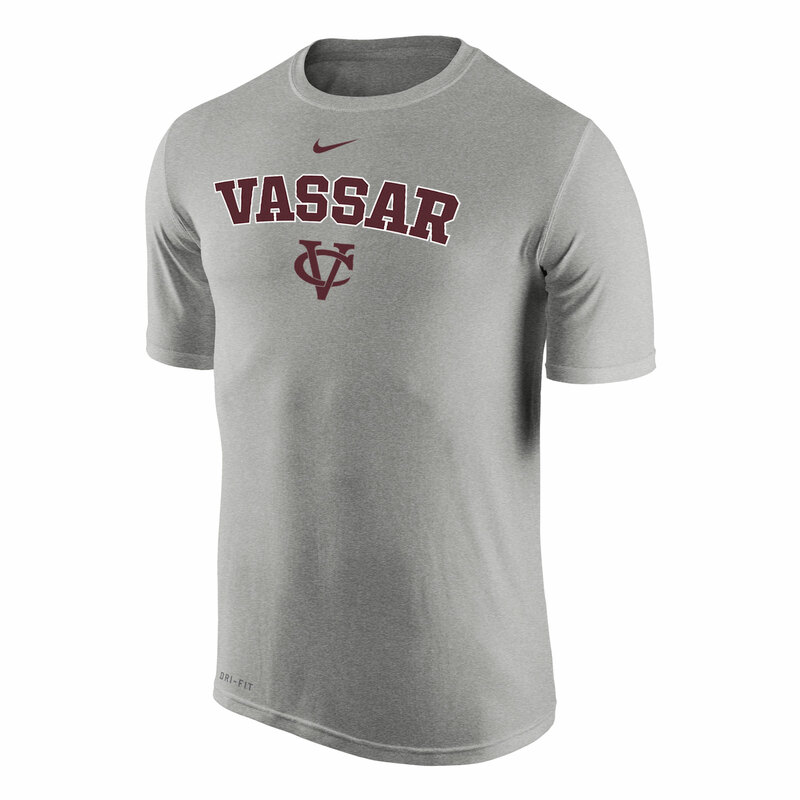 Please select option for NIKE MENS DRI-FIT TOP. The NIKE Stadium Club Fleece Hoodie is your essential Freshman wardrobe piece. 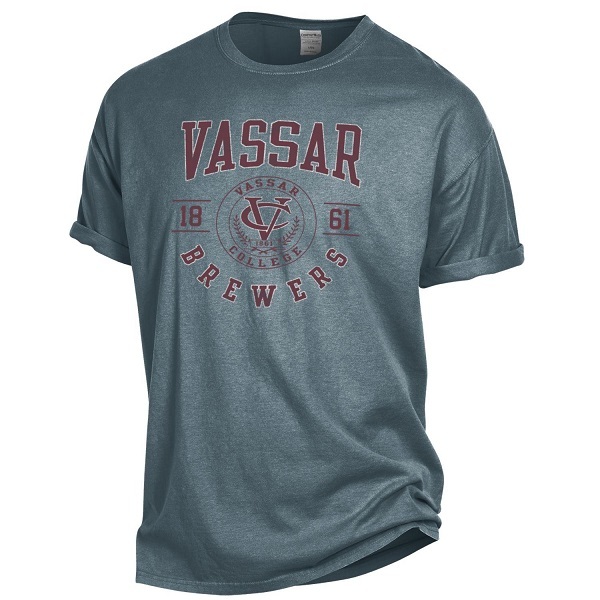 Classic White Vassar lettering outlined in Maroon with a maroon Swoosh, This heather gray friend will take you from class to the Crafted cup. In a 80/20 cotton/poly blend, it will only get better and better. 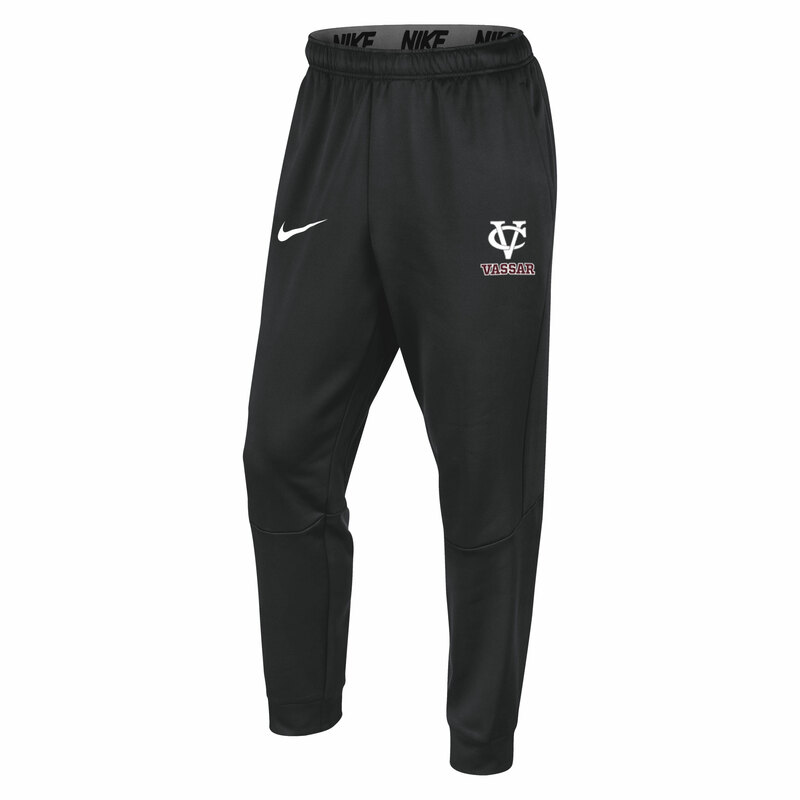 Please select option for NIKE STADIUM CLUB FLEECE. This custom designed Rugby Shirt features the iconic Library. This performance piece is crafted of 100% polyester. Value priced so you can own this unique and one of a kind garment. Please select option for RHINO RUGBY WHITE AND RED. 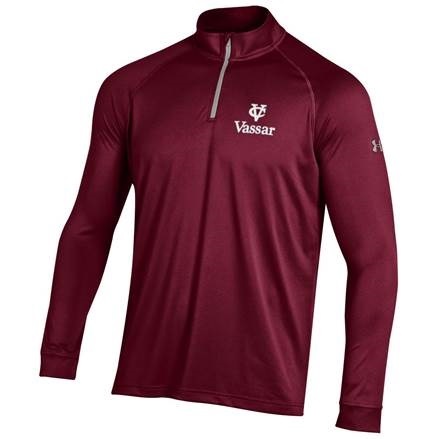 The color block of this UNDER ARMOUR 1/4 zip complements the embroidered Vassar and VC logo. Fabricated of 100% polyester it is very soft and moves with you. Please select option for UNDER ARMOUR 1/4 ZIP. This Under Armour 1/4 Zip Long sleeve shirt will keep you dry during your workout or warmer when layered. 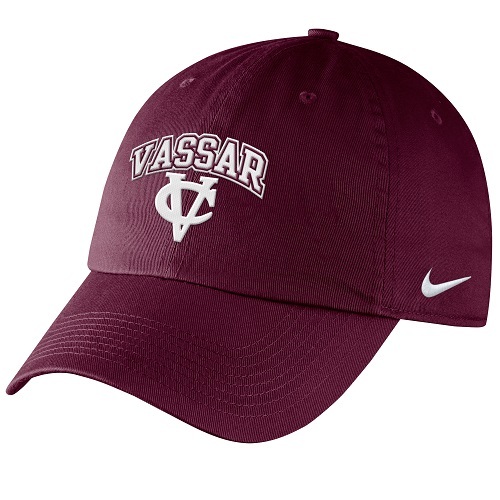 The white Vassar VC and logo look great against the Maroon. Crafted in 100% Polyester. Please select option for UNDER ARMOUR 1/4 ZIP LONG SLEEVE. 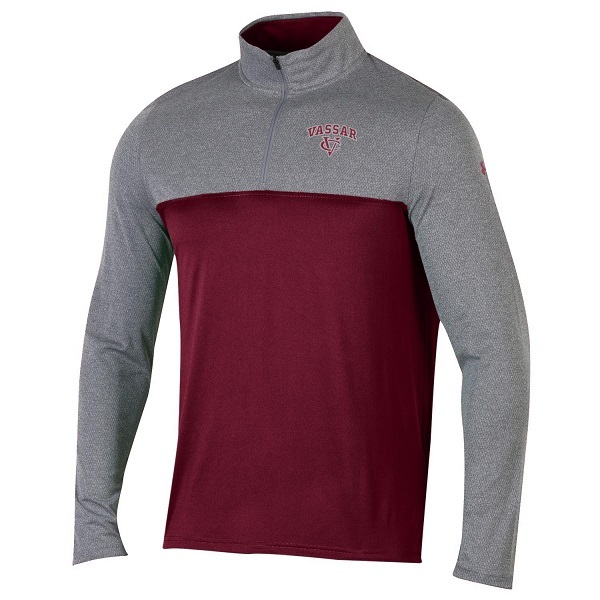 Please select option for UNDER ARMOUR CHARGED 1/4 ZIP.